Just read the news that Elliott Carter passed away today, a month short of his 104th birthday. What a big loss, what an inspiring life. 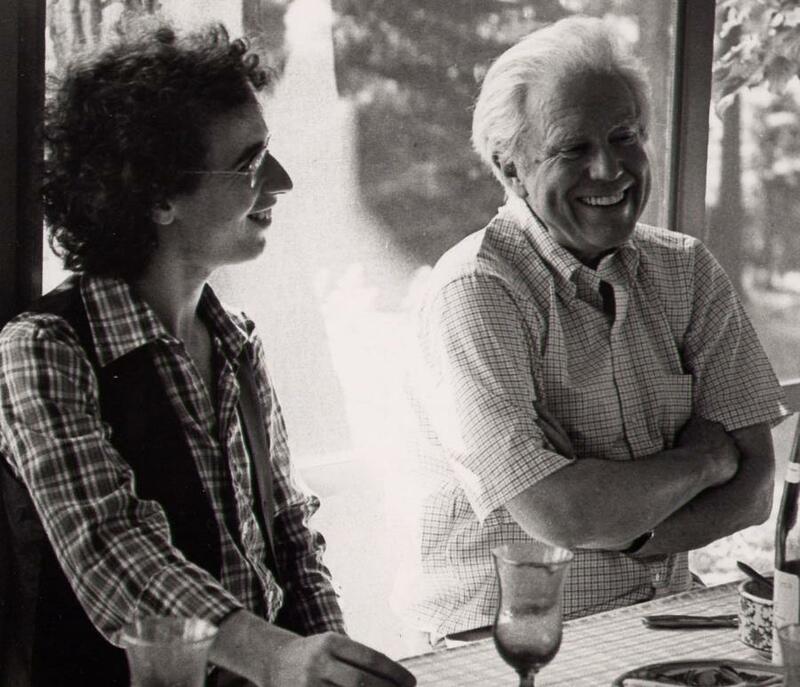 I was lucky enough to study with Elliott at Juilliard and have always considered him my mentor. He remained imaginative, brilliant, searching and expanding to the very end, something to always aspire to. Beautiful obituary by Anne Midgette in the Washington Post. I saw Elliott Carter in public, accompanied by his wife, little more than a year ago, at one of the Works & Process events in the fall 2011 Guggenheim Museum schedule. The program gave five of Carter’s pieces, written between 1990 and 2008, to each of two young choreographers. While their works were enjoyable as well as admirable, Carter himself was probably the real star of the evening, and at the program’s end, he stood (with some difficulty) to acknowledge the applause of everyone present. Though I’m not musically trained and know almost none of Carter’s other output, I gleaned a few impressions from that occasion. His longevity surpassed even that of those nearly eternal conductors of which the music world has seen at least a few. And his compositional inventiveness was hard to compare to anything. Carter seemed to have an evergreen spirit: there was no sign (to me at least) of “late style” in any of the pieces, though he had completed the earliest at around age 82 and the latest at perhaps 100. What I heard, in other words, was five examples of the “uniquely fresh…solutions” that Tod Machover spoke of above. Presumably Carter’s lifespan was not entirely his doing. But the use he made of his allotted time–apparently never tiring in his work, much less stopping–was an accomplishment the rest of us can admire and hope to emulate.